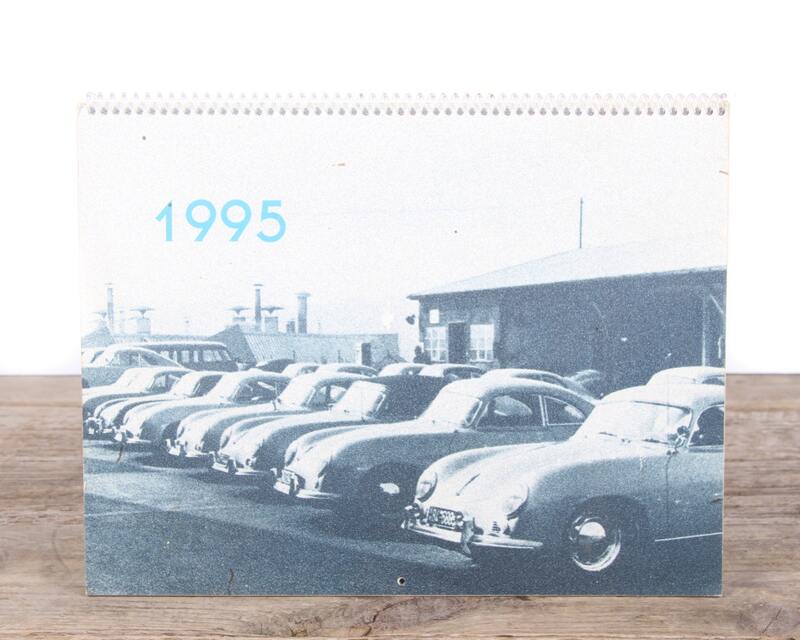 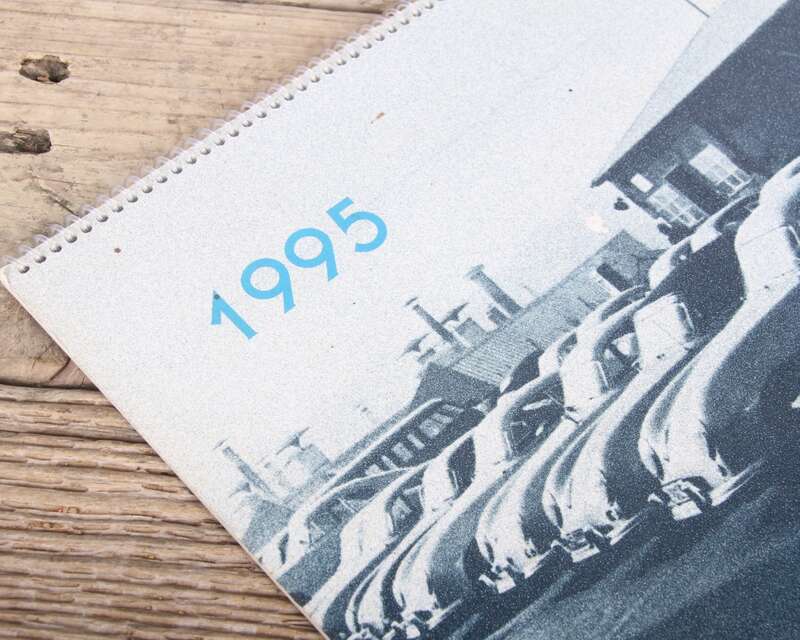 This is a vintage 1995 Porsche 356 calendar from Three Fifty Six. 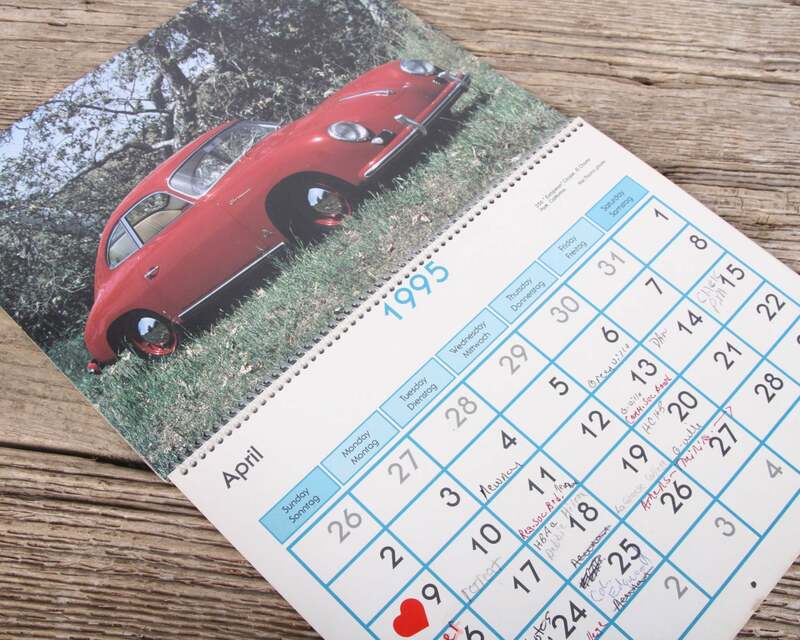 The calendar has twelve (12) different pictures of various Porsche 356's, which are all suitable for framing. 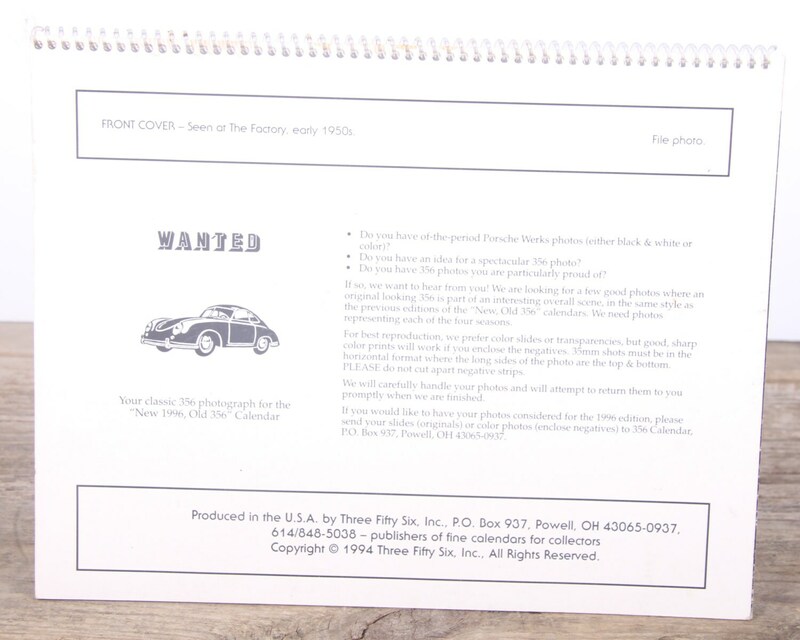 Each page measures roughly 11" wide x 8.5" tall. 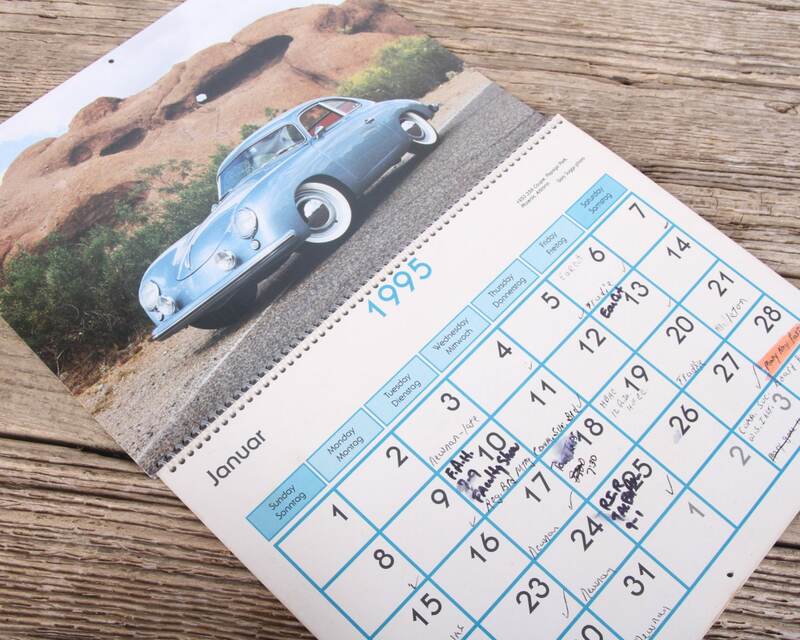 - Note: There is some writing on the date portion of the calendar, but all of the images are clean.